Riri is just so unlucky with love, and Jlo seems to have vowed to taste all the American Ds before she goes back to her maker, lol. Instagram devotees noticed that Rihanna unfollowed J.Lo during the holiday weekend, causing many to speculate that Jenny From The Block went against girl code and romanced her friend's one-time boyfriend, according to E! News. 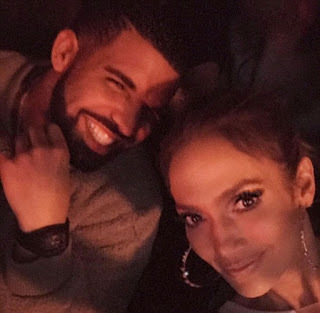 The 30-year-old rapper and J.Lo, 47, sparked relationship speculation earlier this month when Drizzy attended two of her Las Vegas concerts back-to-back, and hosted an exclusive gathering that Jennifer went to. An insider told E! News it was 'a super intimate dinner' held at celebrity hot spot Delilah in West Hollywood, and the pair reportedly left together. Jennifer and Rihanna, 28, who spent Christmas with friends and family in her native Barbados, are longtime pals despite the 19-year age gap. Earlier in 2016, the brunette beauty gave J.Lo a pair of blue boots from her design collaboration with Manolo Blahnik. J.Lo loved the thigh-high heels so much, she wore them in her music video for Ain't Your Mama.